This Study Guide was created to be used in conjunction with the FFOZ TV Series, A Promise of What Is to Come, preferably in a group setting, although it is quite suitable for individual who wish to immerse themselves deeper in the teaching presented. Kingdom-Focused and Jesus-Centered Teaching from a Messianic Jewish Perspective. Each episode of A Promise of What Is to Come, takes key concepts within the gospel message and connects them to the kingdom, while examining them from a Messianic Jewish perspective. 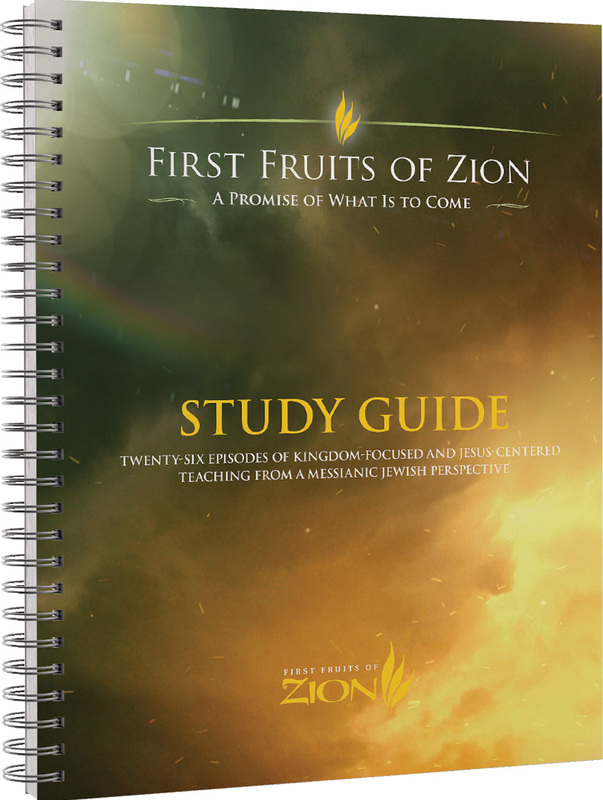 To better retain the information and further facilitate discussion related to this program, First Fruits of Zion has created this study guide with twenty-six chapters corresponding to the twenty-six episodes in A Promise of What Is to Come. Each chapter contains an overview, quotes, and questions to help the reader explore in more detail the concepts and ideas presented in the television show. Episode 20: What Day Is the Sabbath? As followers of Jesus of Nazareth we are living today for a future hope, a promise of what is to come. Upon his first coming our Master desired to bring the rule and reign of God down to earth in the kingdom of heaven. He told his followers that the kingdom of God was at hand. It was ready to burst forth and become a tangible reality. This was the “good news” gospel message. Yet, the majority of the Jewish leadership of the day would not accept his message of repentance and instead in just forty years the Temple was destroyed and Israel was exiled. Here we are almost two thousand years later waiting for Messiah to return and inaugurate the kingdom. Yet, our wait is not passive. We can actively participate in a first fruits of that kingdom today. As Yeshua said: “The kingdom of God is in the midst of you” (Luke 17:21). While we are still waiting for the fullness of the physical kingdom, Yeshua has promised that his disciples can live in a taste of the kingdom today. When we live in the promises of that kingdom today in our everyday life, we are tasting of the good things that are to come. That is the full message of the gospel: a present reality and a future hope. 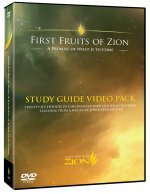 In First Fruits of Zion’s TV series A Promise of What Is to Come we explore the message of the gospel and the overarching theme it contains of the Messianic Era, the kingdom of heaven. Each episode takes key concepts within the gospel message and connects them to the kingdom while examining them from their original Jewish perspective. To help students better retain the information and further facilitate discussion and thought we have created this study guide with twenty-six chapters corresponding to the twenty-six episodes in A Promise of What Is to Come. Each chapter contains an overview, quotes, and questions to help the reader explore in more detail the concepts and ideas presented in the show. The viewer will be challenged to remember each episode’s contents and reiterate the information in his or her own words. Individuals can use this study guide as a companion to A Promise of What Is to Come. It will provide a good review tool for them as they view each episode and serve as an avenue for sharing the material with others. However, this study guide is primarily intended for use in a group setting. We suggest that students watch an episode of the show and then the leader can facilitate the group in working through the questions in the study guide. We pray that this study guide will help to further the message of the gospel and bring the kingdom of heaven ever closer. The A Promise of What Is to Come videos can be streamed directly from the FFOZ.TV website, or you can purchase the DVDs here. Below is one sample from the 24 TV Episodes.